The Canterbury Rogaine Series are pleased to be teaming up with Complete Performance, a Christchurch based adventure sports coaching company to get you ready for the Next Generation Adventure Race. No matter what success looks like for you… through regular communication, nutrition advice, technique coaching and fun group training sessions – Complete Performance can help you become fitter, stronger, faster and equip you with a great race plan. Visit their website, or give Richard a call today, 0800 551 002. You do not have to be fit to enjoy the Canterbury Rogaine Series, but it will help you get an edge on the competition! Specific fitness training will involve walking or running in the hills with a mixture of on and off track. Fitness training will improve both your pace and navigation speed. Navigation skills get better with practice. Training on maps from previous events can be a great way to brush up your skills before an event. A copy of the 2010 Christmas Twilight Rogaine Map can be found here. The sport of orienteering can be another great opportunity to improve your skills. 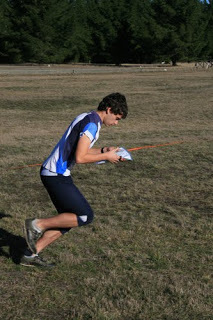 The Peninsula and Plains Orienteering club hold regular events in the Canterbury region. See their website for a list of upcoming events and navigation advice for dummies.